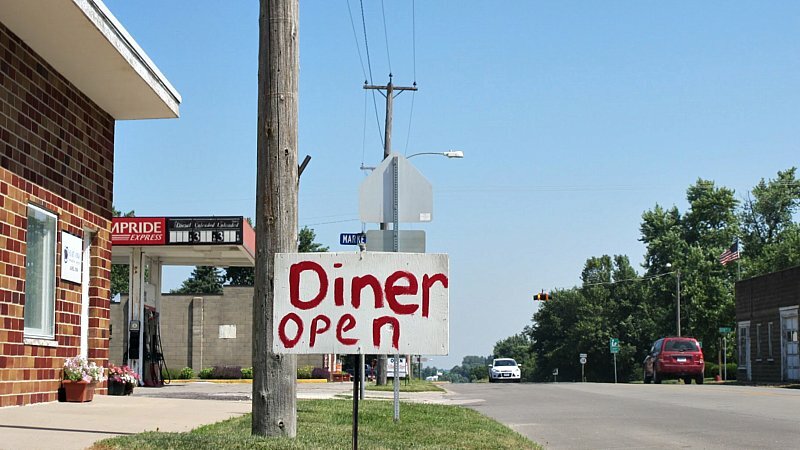 A tiny hand painted sign grabbed the corner of my eye while driving through tiny Laurel, reading Diner Open. I figured it was worth a stop, I could have sworn this place had a different name the last time I came through, but that was a while ago. 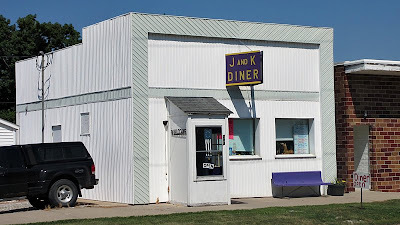 The J & K Diner is relatively new, and had a daily special board visible from the road telling me Liver and Onions were the special. Location: 203 S Main St. in Laurel, Iowa, Marshall County just north and east of the Des Moines area. Directions: Laurel is the town on the road between Newton and Marshalltown, and J & K Diner sits right on the State Highway that takes everyone through the town. The Tenderloin: The first thing I noticed was the steam from the meat rising through the breading. 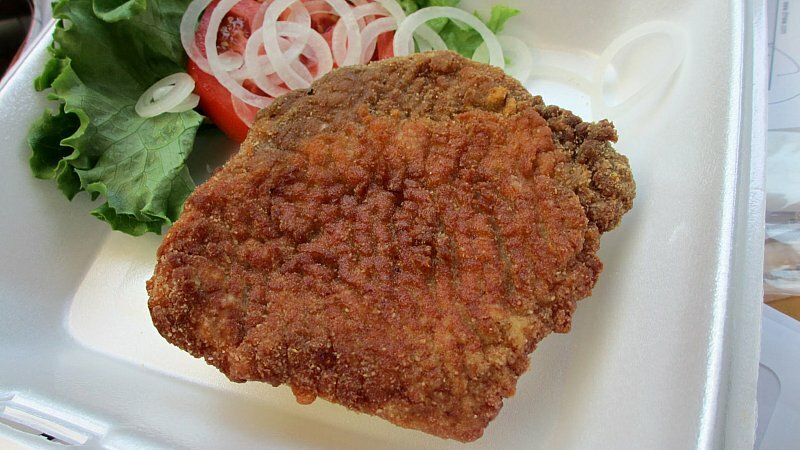 This was a juicy cut of pork loin, but just a bit smaller than what some other places serve. The meat was tenderized and bright white in the middle, with grey meat on the outside. Parts of the edges had some tiny bits of fat that didn't take away from the great texture of the meat. 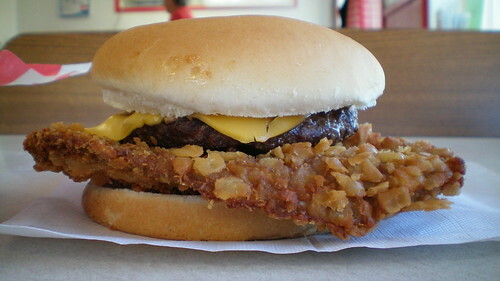 The breading was just more crackermeal. Served on a toasted Kaiser Bun. Overall 7.2 out of ten. 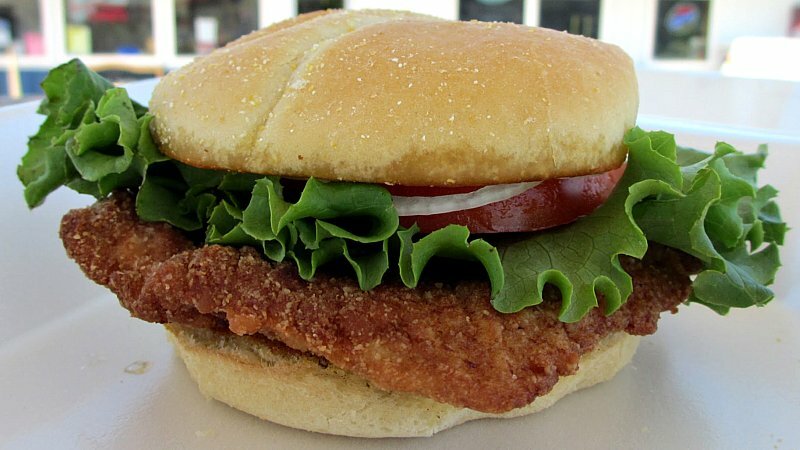 Also on the Menu: The menu has the basics like burgers or sandwiches and fried stuff, with a loomeat hamburger named the Mustang Burger, and full breakfast service in the morning. Service: There was a high school aged waitress and I think the owner was doing the cooking. Each were making conversation with the customers. Ambiance: I think the blinds that read Sue's Halfway Cafe were left here by the last tenant, the walls are decorated with signs with bad jokes like Beware Of Wife written on them. There is an old counter fixture and tables for seating. Final Thoughts: Its always good to see a new place open in a small town when driving through for the last time. J & K and its tenderloin didn't blow me away, but it seems like a perfectly good place to stop for a snack in the small town of Laurel.